Pretty much everyone loves a home-cooked dinner, and many of us love actually cooking those meals — but when it comes to cleaning up, the love factor drops off pretty quickly. That's what makes one-pot (and one-pan) dinners so great: You get the rewards of cooking with very little post-dinner hassle. And while the slow cooker is fabulous for "set it and forget it" dinners, it's not the only tool in town for making quick and easy dinners. Bonus: Most of them come together very quickly from start to finish, so, unlike with the slow cooker, there's no need to wait around for hours or get things started in the morning. 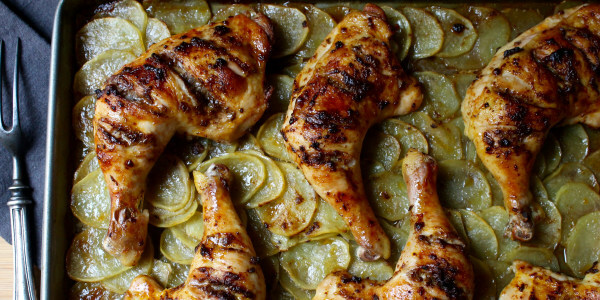 Here are 20 delicious one-pan and one-pot chicken dinner recipes to try. 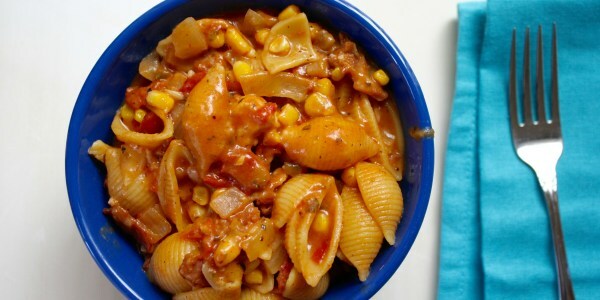 This one-pot dinner combines chicken, bacon, corn, pasta, and cheese into one seriously crowd-pleasing dinner. This quick, easy and super healthy Mediterranean meal from chef Ryan Scott starts on the stovetop and finishes cooking in the oven. In this indoor spin on a cookout favorite, TODAY's Al Roker roasts chicken with beer and vegetables for a one-pan dinner you can make no matter what the weather is like. 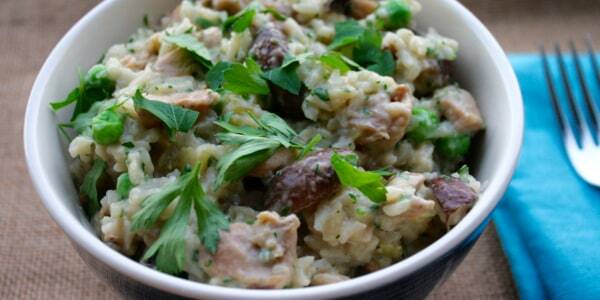 White wine and garlic give this one-pot chicken and rice a wonderful aroma. Mushrooms and peas are cooked in the same pot, so you get a complete meal with only one cooking vessel to clean afterwards. This chicken stew with green chiles is perfect for a football or other TV viewing party — or anytime you need a hearty meal to feed a crowd. Make a big batch of this Asian-inspired chicken and serve it with rice or noodles and your favorite vegetables, or use it in sandwiches and salads. Get all the homey, satisfying flavors of a roast chicken dinner in one pan — no carving or trussing necessary. Aromatic garlic, shallots and herbs bring the best out of simple chicken breasts. Craving takeout? 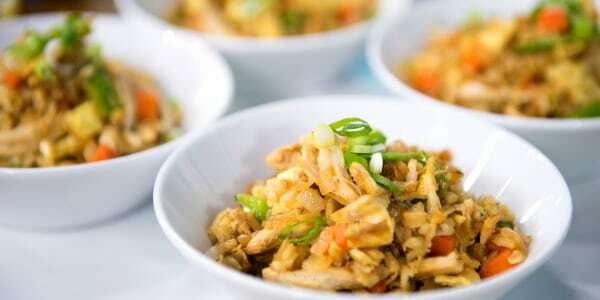 Try TODAY nutritionist Joy Bauer's healthy 'fried' rice with chicken and veggies. It's all cooked in one pan for a simple meal that's also packed with protein. In this recipe, the vegetable side dish cooks right with the chicken. 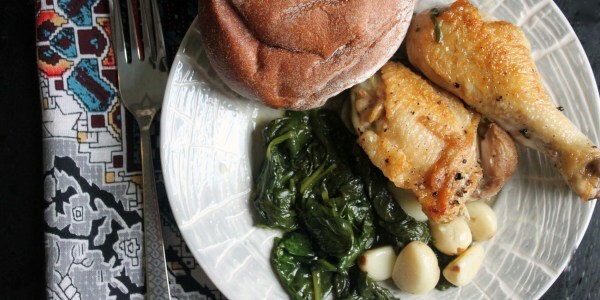 Just add some crusty bread and you have a satisfying dinner. Chef Ryan Scott makes simple braised chicken more interesting with the addition of bacon, thyme and endive. The endive can serve as your veggie side, so all you need to add is a bit of bread for sopping up all the delicious juices. Blogger Molly Yeh's one-pot wonder may just be the ultimate comfort food dish: chicken pot pie with a topping of crispy browned Tater Tots. The butter in this one-pan recipe helps make the roast chicken moist and flavorful, and the pan drippings add extra flavor to the potatoes. Five ingredients (not counting oil, salt and pepper) come together to make this easy one-pot meal. Making deep gashes into the chicken before roasting not only allows the spices to penetrate more deeply, it also speeds up the cooking. And using a v–slicer or mandolin on the potatoes, speeds up the prep. 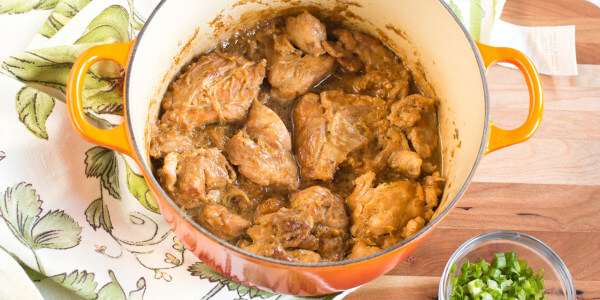 Chicken fricassee with spring vegetables: Make it in 20 minutes! This quick and easy dish elevates ordinary chicken breasts into an elegant and easy one-skillet supper with a few vegetables, a touch of crème fraîche and a handful of fresh herbs. Honey rosemary chicken and potato casserole: Get the 1-pot recipe! This chicken and potatoes with creamy mustard sauce is perfect for a an easy mid-week meal. 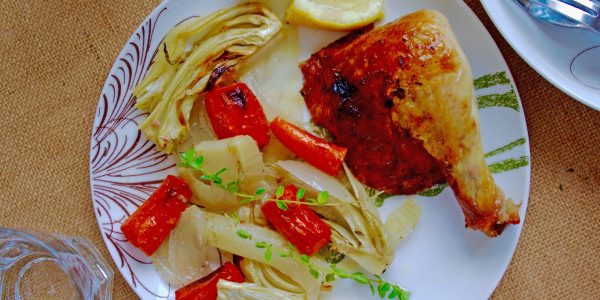 The veggie sides, including fennel and carrots, roast right in the pan with this buttery lemon-thyme chicken. Chicken legs stand in for veal shanks in chef Scott Conant's take on hearty osso buco with tomatoes, herbs and wine. No need to buy a paella pan — you can use any large skillet to make this easy take on classic Spanish paella with chicken, shrimp and chorizo. How to spruce up a simple chicken and broccoli dish -- on a budget! When planning what to make for dinner on a weeknight, the checklist typically includes "cheap," "easy," "crowd-pleaser," "healthy," "one-pan," "chicken," and "delicious." This recipe from Kevin Curry of Fit Men Cook checks all of those things off. This article was originally published on January 25, 2017.